Any festival is a time to visit family and friends and exchange gifts. It is a busy time of the year with so much to do. There are gifts to buy, food to cook, and special festival dishes to make. For a working person there is little time to do all this and also to clean the house to prepare for the guests who come visiting and sharing in the festivities. Our homes are our pride and joy and having a clean home ready for the festival is something most of us desire. But with so much else to do, it often becomes impossible to thoroughly clean up the house to prepare for a special occasion or a festival. Everyone wants to present a sparkling clean and tidy house to their guests and visitors, especially on special occasions and for festivals. But cleaning up the house requires a lot of time and effort and generally, there is little or no time to do it. There is no need to stress yourself out thinking of not being able to clean your home and prepare it properly before the big day arrives. You can always hire a home cleaning service to come in and clean up your house and prepare it for the visitors. Most house cleaning services in Dubai are well aware of the requirements of a pre festival cleaning of the house. They will come in and have your house ready and clean in a few hours. 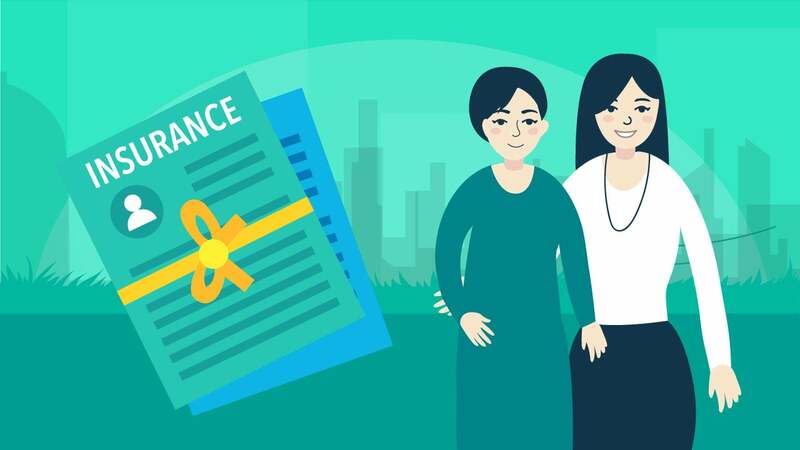 All you need to do is prepare a list of things you wish them to attend to, while you can continue with your shopping or your cooking or even just sit back and relax. With so much to do before a festival, it is best that you create a to-do list of tasks that have to be completed before the day. This will help you when your cleaners come in. You can just hand them the list of things to do and explain how you would like them to do it. Then you can leave the cleaners to their job. Take some time out and go through the entire house, marking out areas that need attention and things that have to be done to welcome guests. Pay special attention to the public areas of the house, taking note of the areas that are the greatest problems and putting them on the top of the list. Once you have a list go through hit and see what you can do yourself and what you will need to leave for the cleaners. Most home cleaning services charge by the hour so you need to be careful about the tasks you assign them. It is best to leave the most physically intensive and difficult tasks for the cleaners while you can tackle the lighter things on your own. Just assign yourself one task a day and soon you will have a house that is ready for festivities. Floors: Cleaning the floors is absolutely essential. Depending upon the kind floor you have you may require to sweep it, mop it, polish or wax it to make it look lovely. A clean floor brings out the best in any room and should not be ignored at any cost. While cleaning the floors it is best to keep in mind the type of floor and advice your cleaning service to clean the floor with proper cleaning agents for the floor to avoid damaging it. For more tips on cleaning floors you may read our post on cleaning floors. Carpets and Rugs: All the carpets and rugs need to be aired and cleaned. If you have wall to wall carpeting that cannot be removed, you will need special cleaning equipment and products to clean the carpet properly so it looks and smells clean. Rugs and removable carpets are easier to clean and some of them may even be washed at home. For expensive carpets or larger carpets, you should hire a carpet cleaning service to come in and clean your carpets at home. Schedule the service well in advance so you do not have trouble finding a good carpet cleaner for your home. Make sure that you maintain your carpet until the big day. Sofa and Other Furniture: Sofas and upholstered furniture needs to be cleaned and refreshed so they do not have any spots or spills that are visible. The furniture needs to be cleaned and polished so it looks great. If the upholstery is old, you may consider having them reupholstered, but remember to get it done well in advance so that your furniture is back in place before the festival. If the furniture needs refreshing and cleaning, you can leave this job for the cleaning service as they can do it much better than you can. Make sure that proper cleaning agents are used that are suitable for your upholstery to avoid any damage to the material. Windows: One thing you should not forget is to clean the windows. There is something great about a clean glass window. It lifts up the mood of the room instantly. When cleaning the window, make sure that the window sashes and fixtures are also cleaned and dusted properly. Lights and fixtures: The lights and fixtures in any home can accumulate dust and grime over the months and before a festival it is nice to have them cleaned to they look great again. This job can also be left for the house cleaning service as this may require a fair amount of time and effort. While cleaning the fixtures, make sure that all the bulbs are working and change any that are burnt out. Also, get the cleaning service to sanitize as well as clean the switches and plugs. Curtains and Soft Furnishing: This is the time to bring out your best linen and display it. Change the curtains to match the mood of the weather and the festival. If you do not wish to change the curtains, you may take them down and wash, iron and then put them up again. Change the cushion and pillow covers to clean ones. If you use any covers or throws clean them before putting them back on. While at it, you can also clean and refresh your table linen. Silver and Cutlery: This is the time to bring out your best things and display them. This includes the cutlery and your service too. Bring out all the things that have been lying in store to clean and polish it before the big day. You can do this on your own while you are watching TV or get other members of your family to help you with it. This is a task that can be done gradually over a period of time. Polish all the metal curios and put them out to display. Toilets: Your guests are likely to use your toilet so make sure they are clean and tidy. You can get a cleaning service to come and deep clean the toilet so that your toilets are sparkling clean and fresh for your guests. Get the cleaning service to clean the tiles, grout, washbasin and toilet bowls. Put out fresh towels and soap before the guests are due. Use a toilet freshener so that the washroom smells good. Kitchen: Another area that needs your full attention is the kitchen. After all your festive cooking is over, the kitchen will be dirty and grimy. Deep cleaning a kitchen can be a tough and time consuming job and you may leave this for the cleaning services. Ensure that the appliances as well as all the surfaces and fixtures are cleaned. All the above tasks should be completed before the big day. On the day of the festival, make sure that the garbage is taken out and the entire house gets a once over from you so that everything is as you want it to be. Tidy up and lay out the feast to welcome your guests. If you wish to hire a cleaning service to help you with the festival cleaning, you should look on help4u.today. 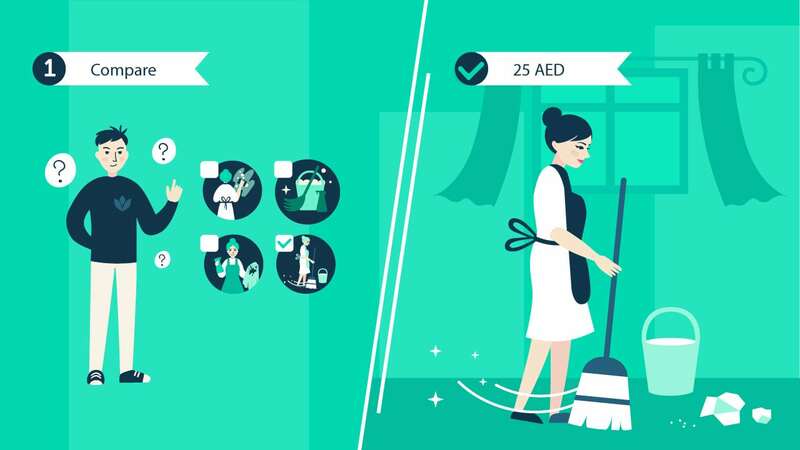 Here, the best cleaning services of Dubai are listed for your convenience. You can search for and filter cleaning services based upon the location, price and reviews. There is also a help4u.today app that allows you to keep trach of the work completed and the check-in and check-out of the cleaning service. Payment to the cleaning service hired through help4u.today can be made online. 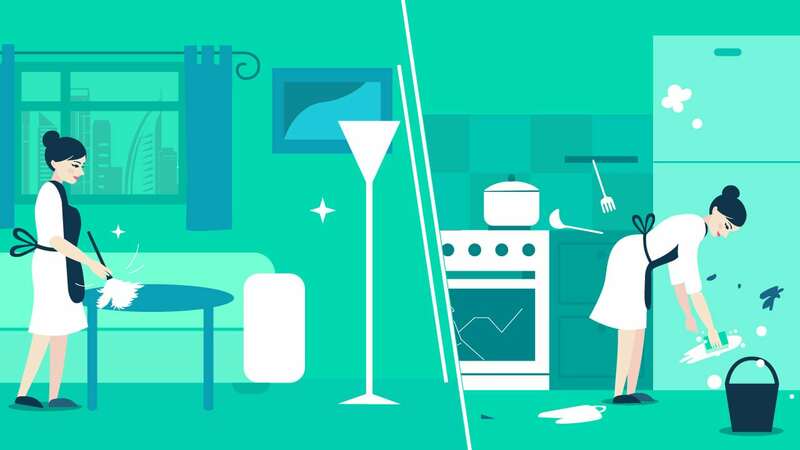 All the cleaning services that are listed with help4u.today are perfectly legal and licensed, they are also whetted and verified so that your home and belongings are completely safe and secure. 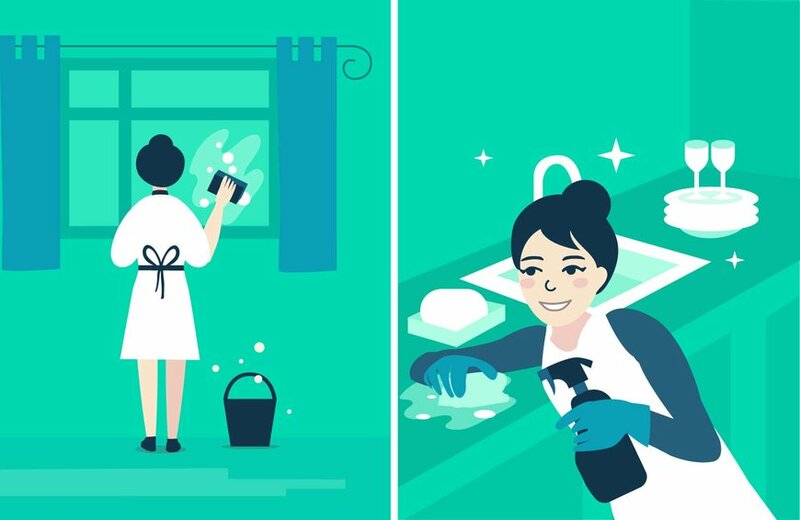 The help4u.today website and app make it extremely easy for you to hire a cleaning service for regular or single time cleaning of your home.